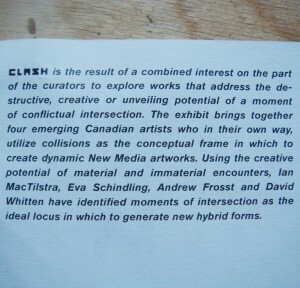 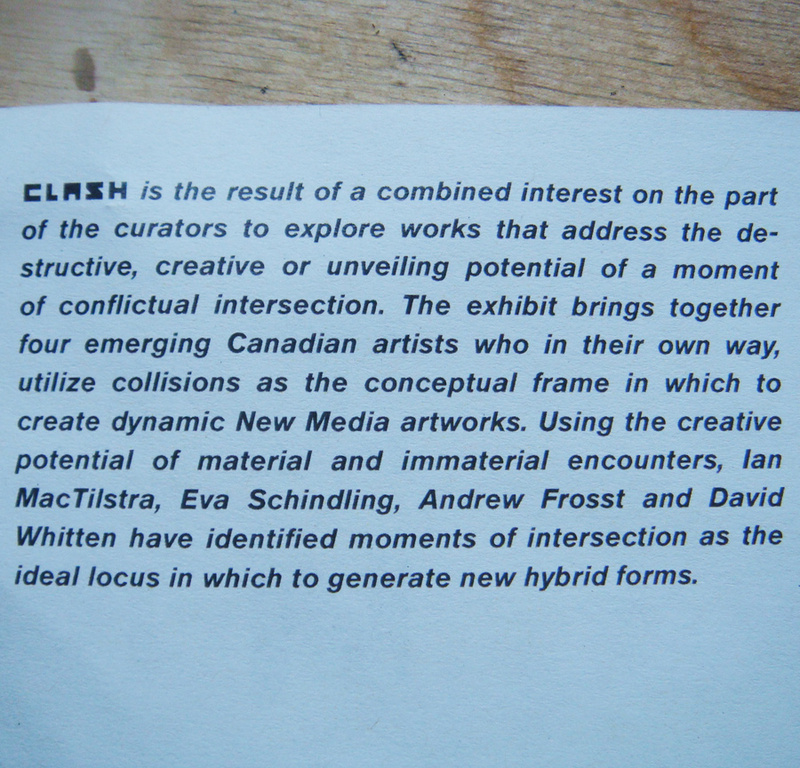 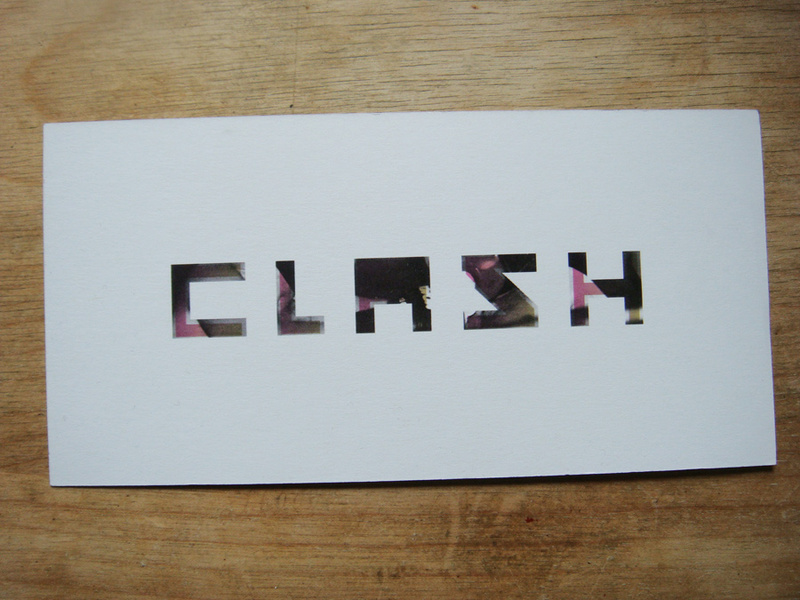 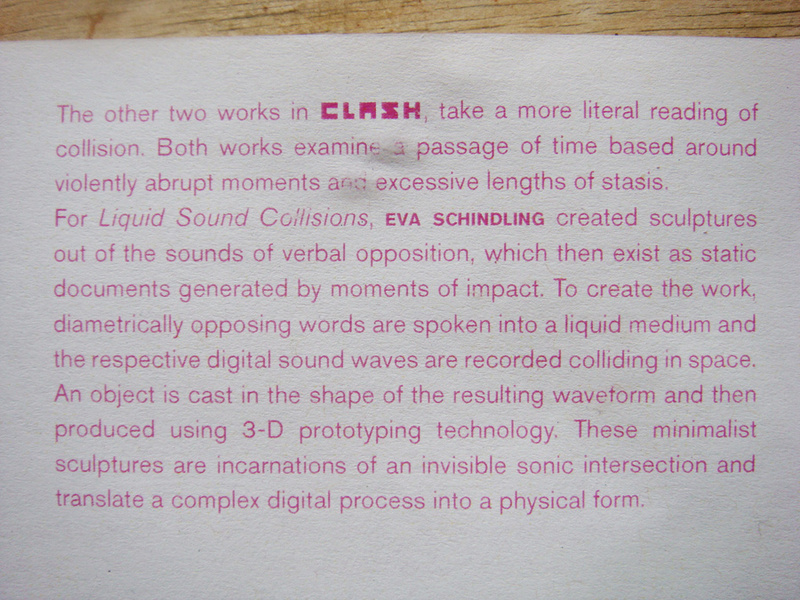 CLASH: temporal intersections was on show at Eastern Bloc, Oct 7-20th 2010. I went to take down the sculptures a few days ago. 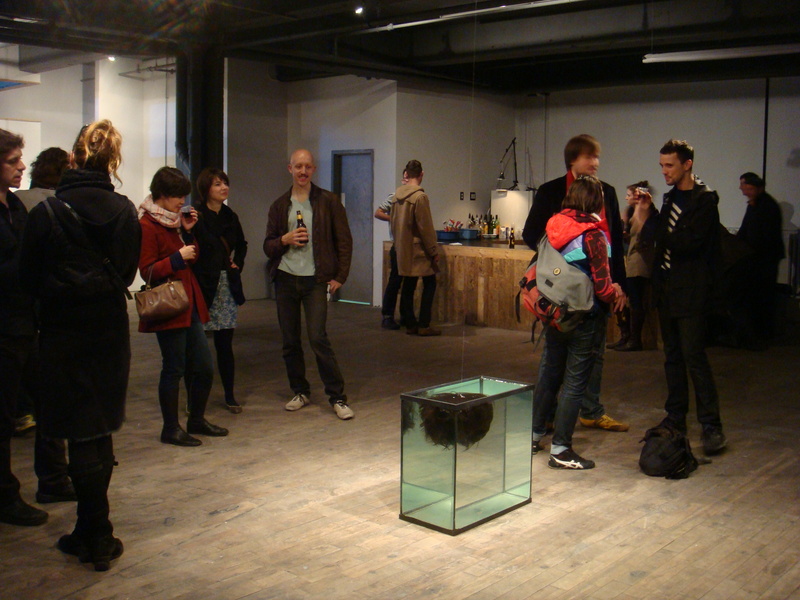 Here a view photos from the opening and the exhibition’s accompanying texts. 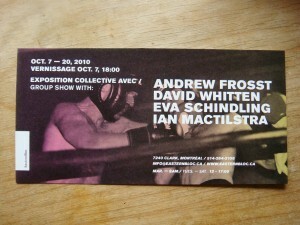 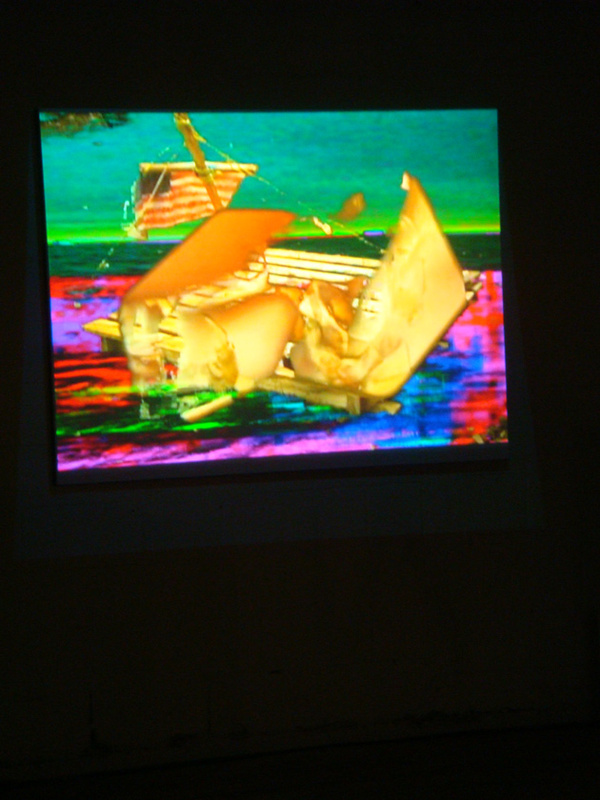 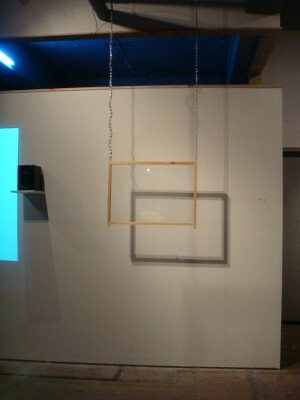 The show featured three other artists: Ian MacTilstra, David Whitten and Andrew Frosst. 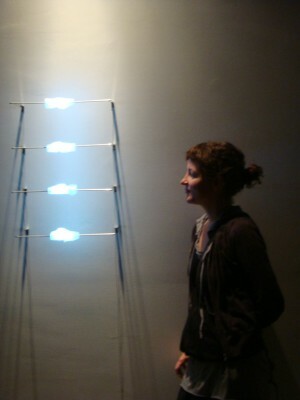 The show was curated by Vincent Chevalier, Etienne Grenier, Michelle Lacombe, Simon Laroche, and Eliane Ellbogen. 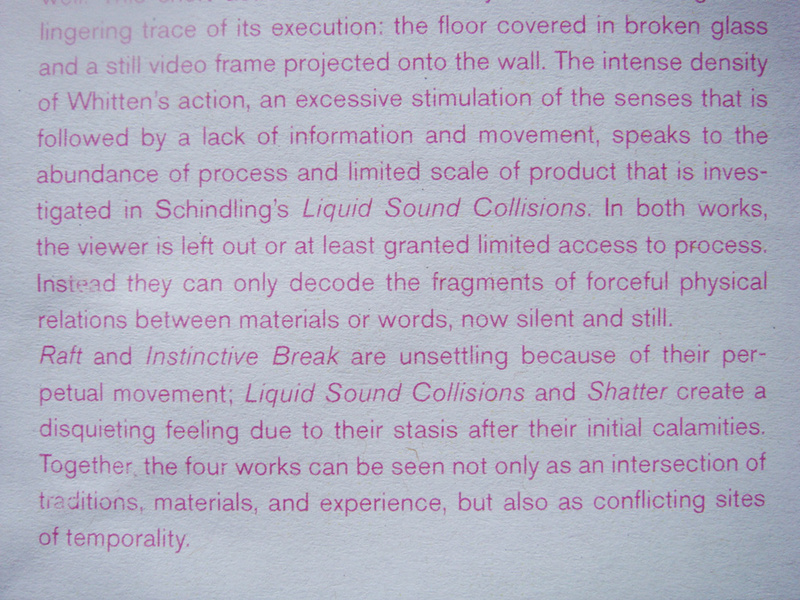 Excerpts of the text accompanying the exhibition can be seen on the left. 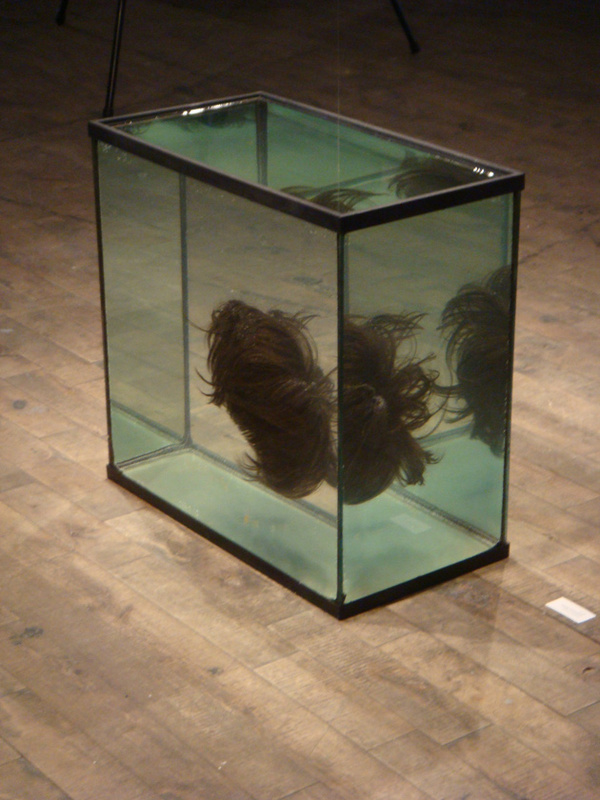 I particularly liked how they addressed the sculptures’ frozen status – silent and still – yet hinting at the forces and processes that have been in play. 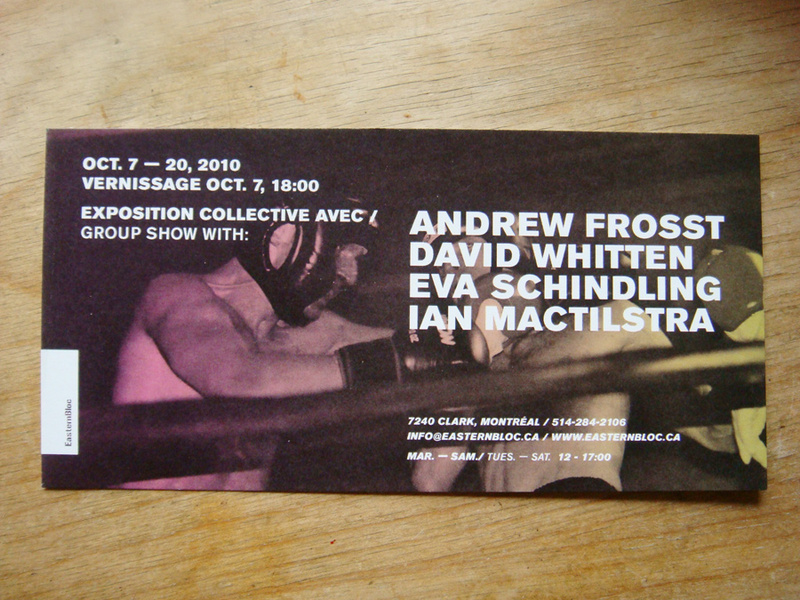 Posted in News and tagged exhibition, liquid sound collision, montreal.